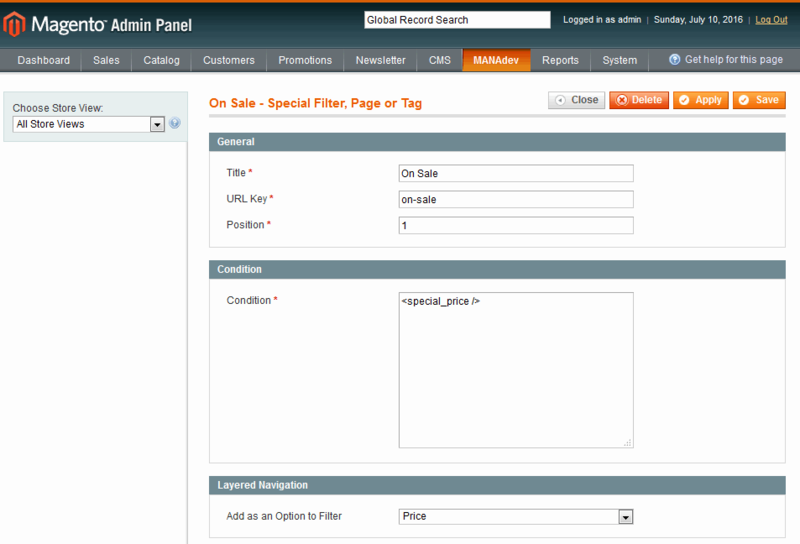 In order to create this special filter go to menu MANAdev -> Special Filters, Pages and Tags in Magento Admin Panel and press Create button. Title - special filter option title, visible in Layered Navigation. <promo /> shows products for which at least one promotion rule from Promotions->Catalog Price Rules is applicable. It checks only rules which are active and applicable to current customer‘s group. 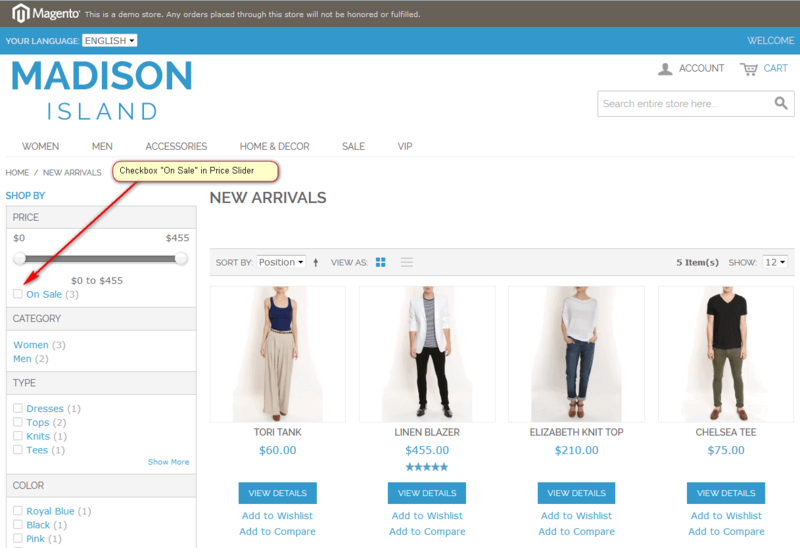 <promo id="9" /> shows products selected by promotion rules from Promotions->Catalog Price Rules with specified ID. Add as an Option to Filter - Layered Navigation Filter to which special option will be applied. You can add these special filters to any filter except category filter.